For me, this story starts in early 2016. This was when my area received 'Superfast Broadband' as BT OpenReach rolled-out Superfast Leicestershire Phase 2. Before this, I had a fairly high level of noise on 160m, 80m and 40m but quite acceptable on 20m and the higher-frequency bands. As you can see from the picture above, the interference manifested itself as carriers around 10dB above the noise floor every 4Khz. This spread across the entire 20m band (and beyond). 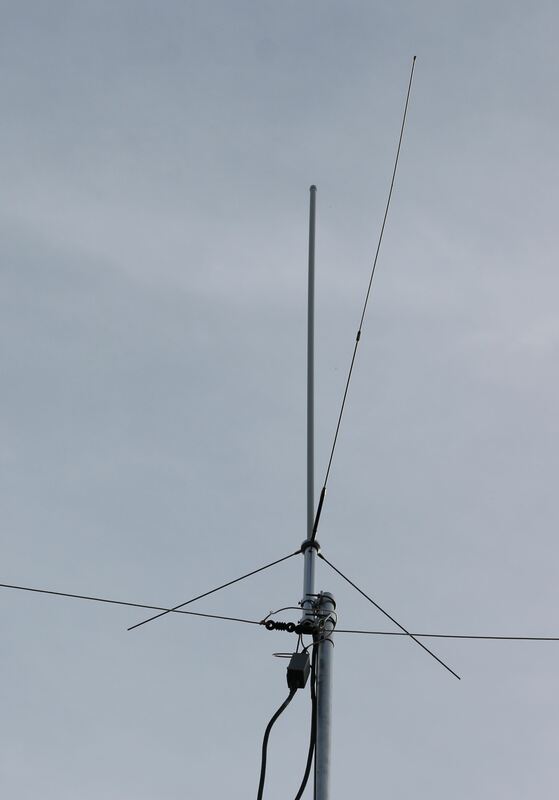 Not being entirely new to QRM, I first suspected something newly installed within the QTH so set about unplugging things. This made no difference so having purchased a leisure battery to help me to diagnose a previous QRM issue, I connected the Flex to battery power and turned-off the main incoming circuit breaker. This made very little difference, maybe a slight reduction in the overall background noise but the 4khz carriers remained. I checked all of my connections and improved the earth but nothing seemed to make any difference. 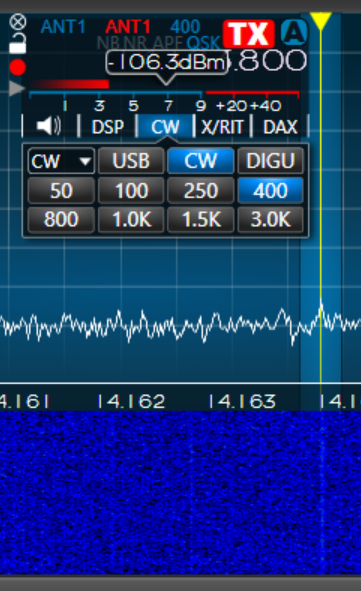 I did discover that the signals were not evident on my Wellbrook active loop receiving antenna, only on my 6 band Hexbeam, so it was extremely likely to be quite local. I lived with the problem for a few months until I discovered that the RSGB EMC committee were asking for people who were receiving this type of interference to contact them as it was most likely related to the BT 'Superfast Broadband' system (VDSL). I sent the EMC Committee Chairman an email in October 2016, detailing the problem and he swiftly replied with a form for me to fill-in, which I did. He then passed my details to BT OpenReach for them to check all nearby lines for any unbalance. With older wiring, it is not uncommon for joints to corrode and become high-impedance. Another possible cause is what are known as bridge-taps, where a single pair is connected to multiple distribution points. "We have investigated the network in the area of the complainant and it appears to be fault free but there is evidence of home wiring arising from the use of distributed micro filters rather than a managed installation with a central splitter. This can result in increased emission levels. Openreach are not in a position to change such installations without a job being raised by the Communication Provider as this is a chargeable service. There is no further action we can take at this point." As you can imagine, this was not what I wanted to hear as it basically means that no high-impedance joints or bridge-taps have been discovered but there is likely to be a problem within one (or more) of my neighbours houses. Obviously OpenReach will not tell me where these "distributed micro filters" are, but I would be happily replace them at my cost if I could find out. What's worse is that the 10dB carriers are now more like 25-30dB above the noise (picture to follow) making 20m alll but unusable. This added to the fact that at the moment, 17m-10m are rarely 'open' does make me wonder why I bother having a 6m diameter Hexbeam in my 7m wide garden! Not being one to give-up easily, I am determined to find a solution, whether it is walking around with a portable shortwave receiver until I find the culprit or using something to null the noise like a WiMo QRM eliminator, I am determined that this latest obstacle isn't going to spoil the enjoyment of MY hobby. I have decided that walking with a shortwave receiver is the first thing to try, it might give me an idea of the general location. I have ordered a Tecsun PL660 which quite highly regarded in the SWL arena I believe so lets see what I can find. Until the Tecsun arrives, I thought that I would try my old WiMo QRM eliminator. This isn't perfect as is does require careful tuning to get a good compromise between reducing QRM and reducing the wanted signal. This is just with a piece of wire as an aux antenna. The second picture is after I turned-on my WiMo QRM eliminator, the SSB signal isn't noticeably that much weaker (2-3dB at most) but the VDSL training carriers have almost completely disappeared! Success??? 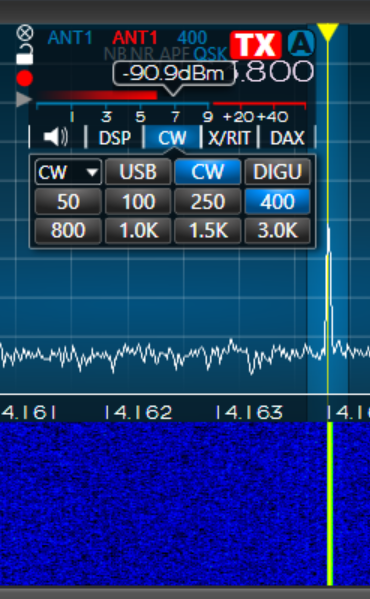 Not really as it takes me a minute or so to tune the QRM Eliminator each time I change frequency so it makes my SDR experience less than point-and-click! I believe that the person who genuinely develops an automatic QRM eliminator/nulling device will sell one to every urban radio amateur in the world. I realise that this is unlikely as it usually takes a human to work out what is wanted and what isn't. Here are a couple of other captures that I took on 20m, on the left one, the VDSL carrier is 20dBm over the background noise (background is just under S3 -111dBm). Once I had tuned the WiMo QRM eliminator, background noise went up slightly but the carrier almost completely disappears. I will carry-on some more experiments with this but at least I have something that I can use. If you have any suggestions, please comment below!